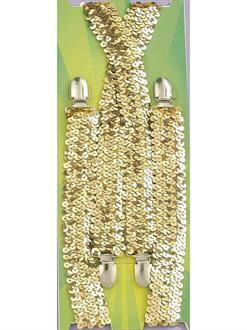 Set the gold standard for style in the Gold Suspenders For Adults! 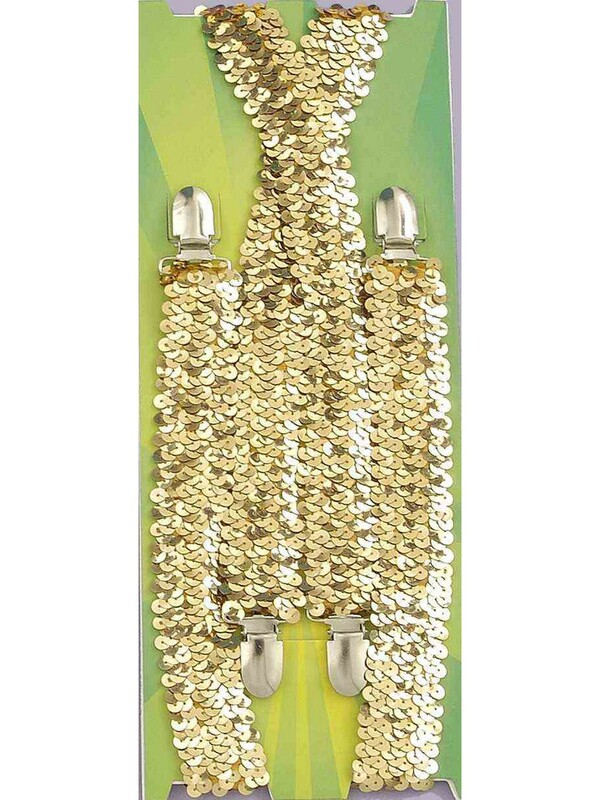 These gold sequined suspenders are perfect for Mardi Gras celebrations or Halloween costumes. When you wear these sparkling suspenders with your cute clown, stylish gangster, or groovy disco dude costume, your ensemble will go from mediocre to magnificent.